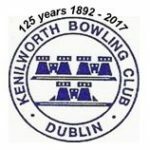 Although it is the longest established Club in the South of Ireland, being founded in 1892, it is a very modern club with some of the best facilities of any bowling club. Kenilworth is the only club with two greens – a grass green and a carpet/synthetic green. Players can enjoy the game on these two surfaces that provide a contrast in play and competition. The carpet green is available right through the year, allowing members to play in a Winter League. Our ladies and men members play in the first division of the Bowling League of Ireland competitions, giving players experience at the highest levels. We also have teams in lower divisions to cater for all abilities and skill levels. Our junior members (under 25) are part of an “academy” with other clubs to encourage and develop their skill. Among our members are qualified coaches and umpires and some have held high office in bowling associations in Ireland and further afield. So there is a wealth of advice and support for new members as they learn the game and opportunities for everyone to improve! We have recently added a Boules Piste to our facilities and we plan to incorporate Boules in our activities during the year.